In an exceptional location this bold masterpiece, by award-winning Ronald Janssen Architect the Amsterdam based studio, blends architectural precision with the highest standards of engineering. 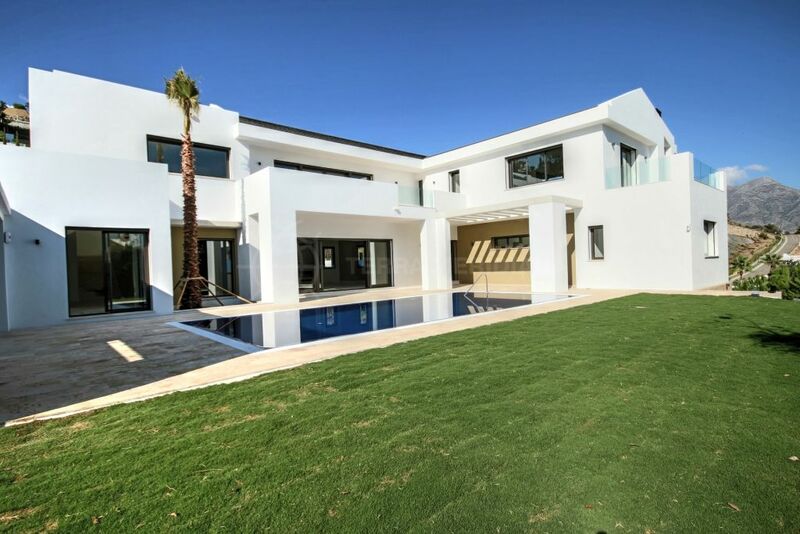 Designed to make the most of the stunning surroundings the villa boasts expansive glass windows giving a feeling of light and space while extending the home out to the exterior with its scenic views. 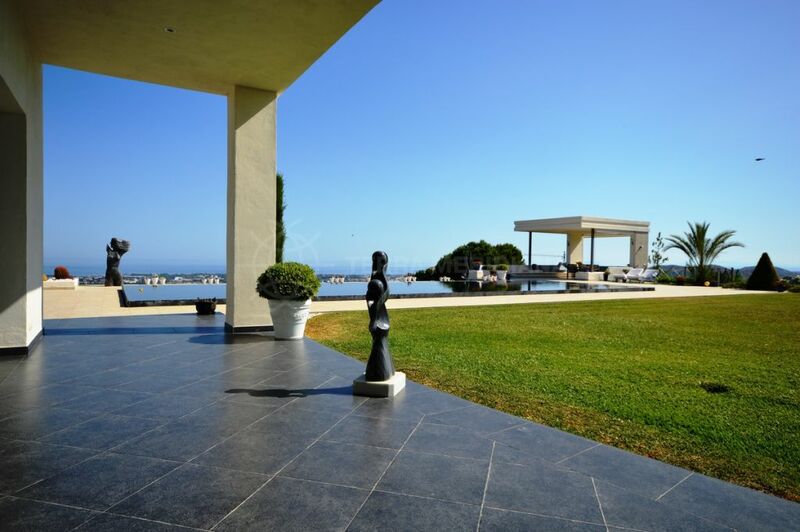 This exceptional villa features 3 levels; there is an entrance floor with fabulous far reaching views to the valley and sea below. The main floor comprises a bright and airy living room next to the dining area with a fireplace and a patio ideal for a garden, an innovative kitchen with island, spacious master suite and a guest toilet. The lower level offers 3 guest suites, the exterior lounge area with a kitchen, a bar and the zero edge swimming pool of a dark green vitreous coating. Noteworthy details are the green roof of the property, which is covered with the same autochthonous plants native to the Monte Mayor valley, a lift to all floors and underfloor heating. Monte Mayor Country Club is an ultra-exclusive development with 24-hour security 15 minutes from the coast and all amenities. 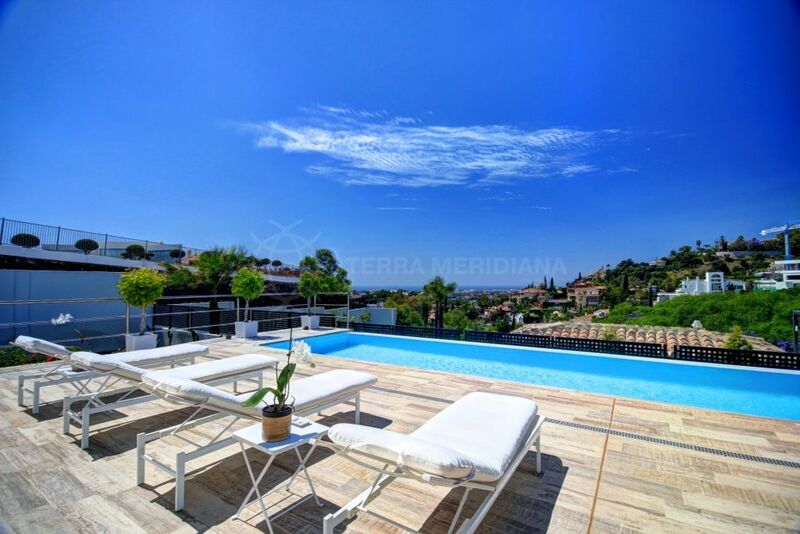 Close to the quaint whitewashed village of Benahavis and the Marbella Club Golf Resort. Puerto Banus is approximately 20 minutes by car, and Marbella old town is 30 minutes away. "A villa poised to capture postcard-perfect views and gentle sea breezes." 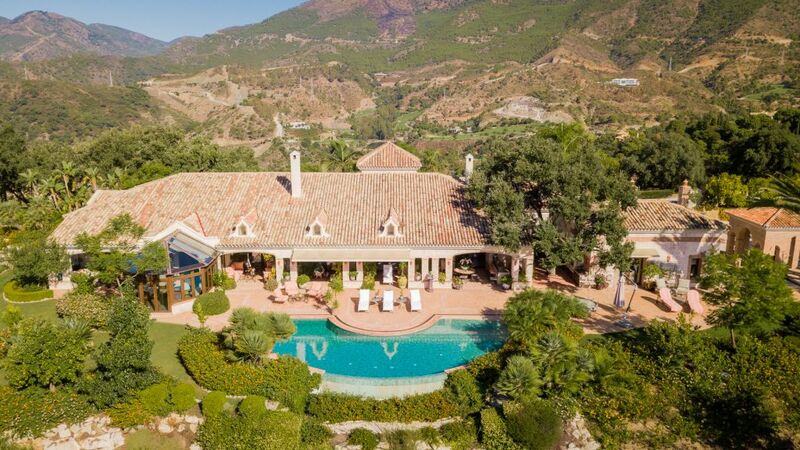 Please, send me more information about ref TMNV1826, Villa in Monte Mayor, Benahavis or similar properties.